CHANGE THE WAY YOU DO BUSINESS! With customer expectations rising, mobility becoming the new normal and keeping in touch with your team has neve been more important. The powerful NEC SL2100 combines the simplicity of traditional telephone systems with the grunt to propel your workforce forwards! In three words: VALUE FOR MONEY. Packed with powerful communications tools out of the box and ready to connect to Australia's NBN solutions, the NEC SL2100 is an easy to use, budget friendly, feature packed PABX with a solution for all your team members from reception to IT management, sales team to home working admin staff. Your new NEC SL2100 is a VoIP enabled, Unified Messaging powerhouse! Features include Auto-attendant, music on hold, audio conferencing, mobiel apps for Android and iOS, video conferencing and facilitied to enable you to have home workers fromt he day you purchase you install your business phone systems with Com2!. 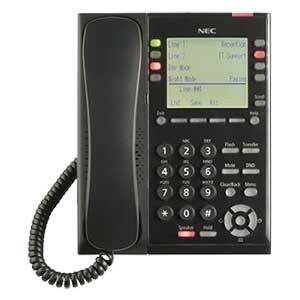 Why buy the NEC SL2100 Phone System? 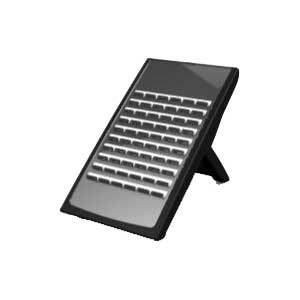 The Handsets: The NEC range of NEC SL2100 desk phones means you ahve a solution for every desk in your office. Choose from IP or Digital, 12, 24 or expand out to 84 butons with a 60 button expansion panel! The Mobile APP: Yes! An out of the box mobile app! Use the ST400 series mobile App and remain part of the team via the SL2100 communications platform. ALL calls made via the APP will go out presenting the office number not the mobile number! The System Applications: With a range of InApps available from NEC, you can now have on-board applications running without the need for an external server to run them on. InUC now brings WebRTC into the mix providing a backbone for collaboration, vide conferencing, presence and IM from businesses of 1 - 100+ users! The Mobility Options: Workers are more frequently away from the office. With the right tools, you can start to improve the work life balance of staff allowing for team memebers to work from home whilst still accessing the corproate directory and trnasfer calls internally from a softphone aplication on their laptop. The Savings Add Up: "Save money, save time and save the hastle" is the motto from NEC! With low cost of ownership, BYOD for mobile devices and PC softphones, hot desking and low IT resorces required to run the telephony environment, the NEC SL2100 is the right choice for your next business phone system. The NEC SL2100 is TRUELY NBN ready. Migrate to NBN, SIP and NEC! Talk to our team about your needs today!! Getting you vocemail on the fly has never been easier! Get notification or even a .WAV sent direct to your email! Be available where ever you are. Mobile apps, softphones and remote handsets are all possible on the SL2100!! The SL2100 gives you BOTH VOICE AND VIDEO confrencing + WebRTC! Now that is VALUE FOR MONEY! Built in door phone functionality gives you the ability to unlock a door from anywhere with remot door management! Have a staff memeber who needs to take time out of the office but wants to keep on working? We have it covered!